Late last year I spent a wonderful afternoon with Guerlain, trying out all their products both new and old. 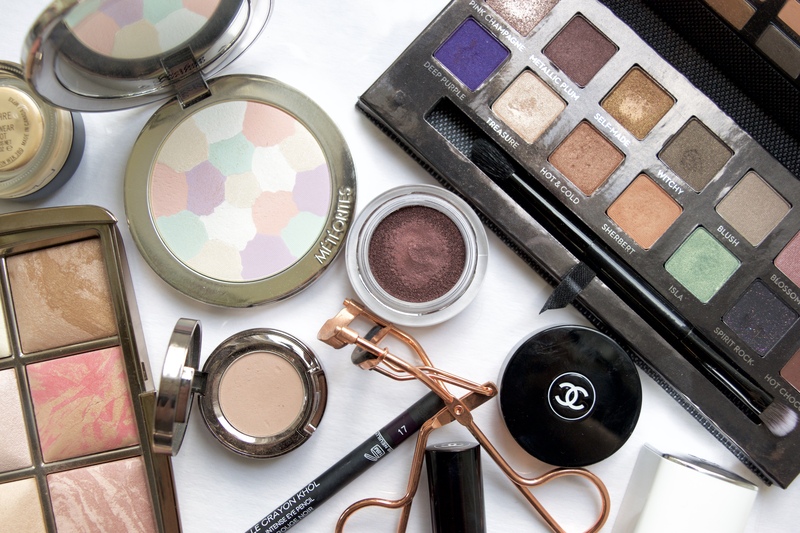 I picked up a whole array of makeup but there were three standouts, all of which are base products! I have been using these constantly since October, so I feel I can give a thorough and tested review. Firstly, let me say the service and product quality at Guerlain is exceptional, I loved everything I tried and I really admire the subtlety and elegance of the brand. 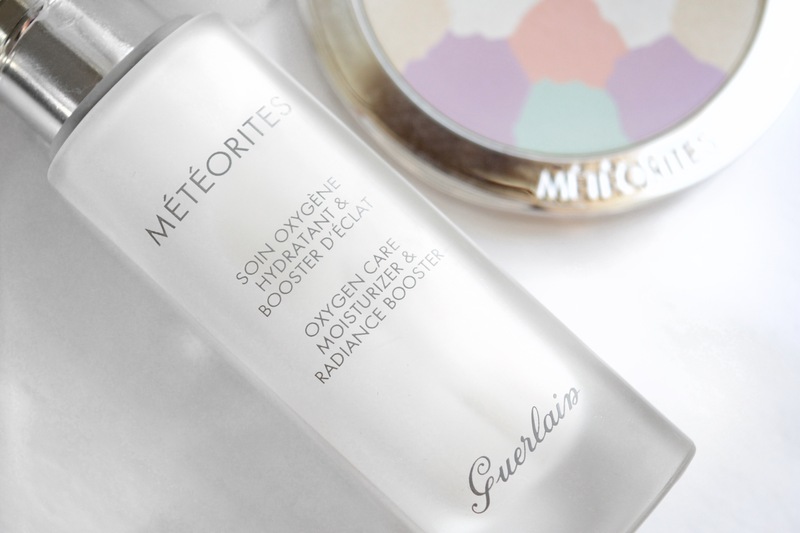 The item I have used the most and sadly almost ran out of, is the Météorites Oxygen Care Moisturiser & Radiance Booster. This moisturiser has a smoothing and radiant effect on the skin and really illuminates the complexion. I use this as a pre-makeup base and find it really makes a difference in the luminosity and hydration of my makeup throughout the day. It has a pearlescent glow and carries the signature delicate violet scent, but nothing lingering or offensive. I have been addicted to using this, thus why I only have a few applications left! 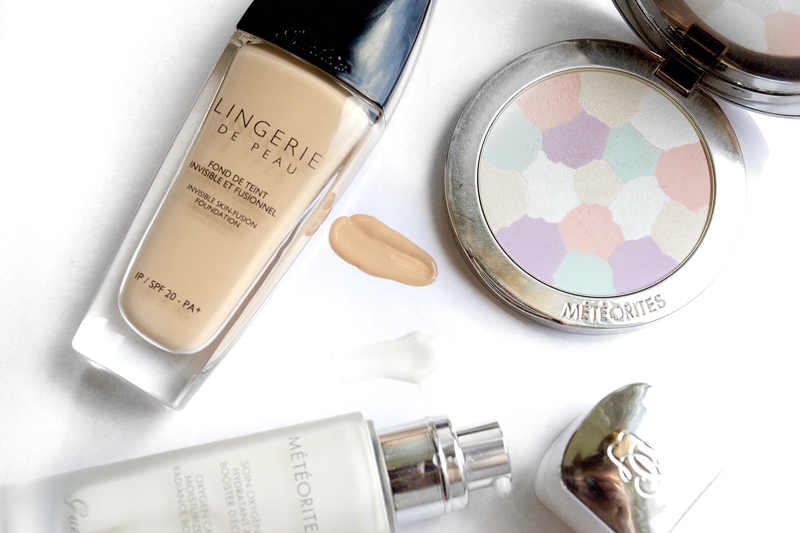 The Guerlain Lingerie de Peau foundation has swiftly become one of my favourites. It has a creamy, lightweight consistency and I find works best applied with fingers and sheered out with a damp beautyblender – this makes it feel like a second skin! I am shade 02 Beige Clair, which is one of the best colour matches in foundation I have, plus it has SPF20. It carries a delicate and mildly floral scent which I quite like and even though this is a dewy and hydrating base, it still lasts well throughout the day with minimal touch ups and is very comfortable. I couldn’t praise this foundation more; the packaging is luxurious and I always feel effortlessly radiant whenever I wear it! 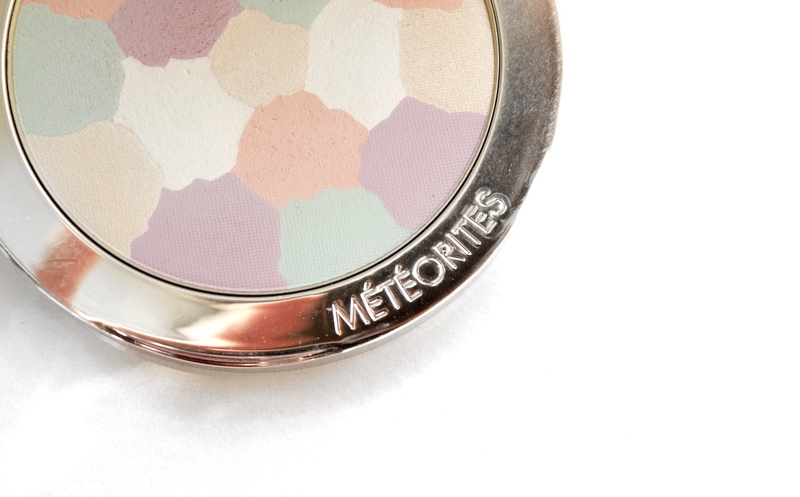 Lastly, I have the Météorites Light Revealing Compact in shade 2 Clair. 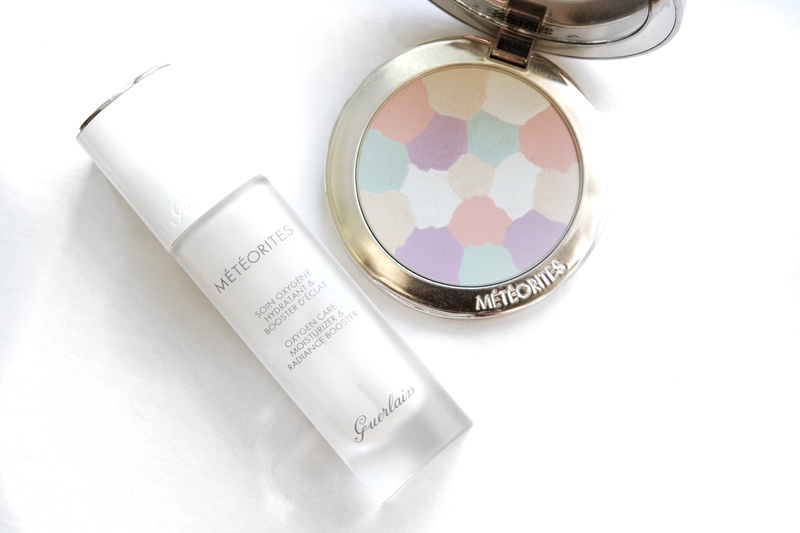 This powder is the Météorites radiance in a compact and adds the most beautiful and natural luminosity to the skin. The colour correcting shades mixed together create an even skin tone whilst the Guerlain pearls give a smoothing and refreshing glow. It is such a finely milled and delicate powder yet I always see a difference once applied. The packaging is incredibly luxurious and again comes with the charming and feminine violet scent. I love this as a finishing powder swept across the high points of the face with a fluffy brush… it is a step I rarely skip in my routine. I’ve been crushing on Guerlian far too long without doing a blog post, so I hope you can appreciate my infatuation! 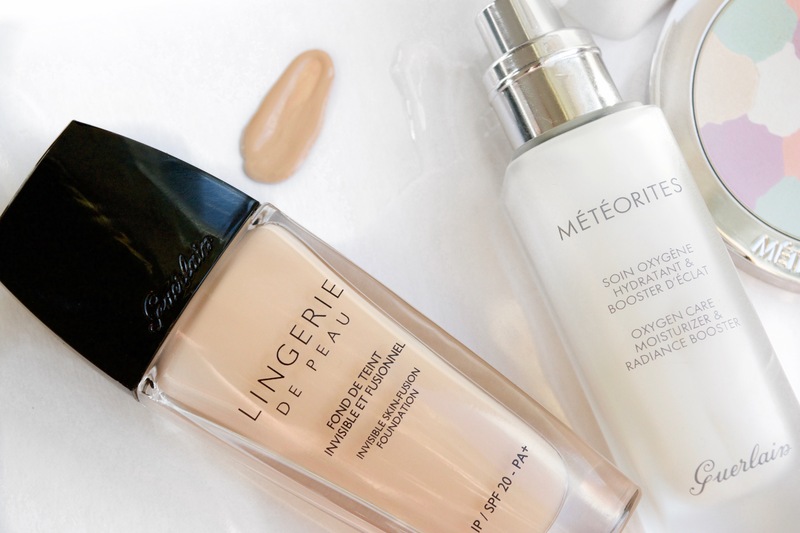 Have you tried anything from Guerlain? I’d love to know what your faves are! I love this foundation too!